Our flight took us from Boston to Washington DC to Doha (Qatar) and finally to Malé, the capital of the Maldives. Getting there takes a long time—over 24 hours with layovers. 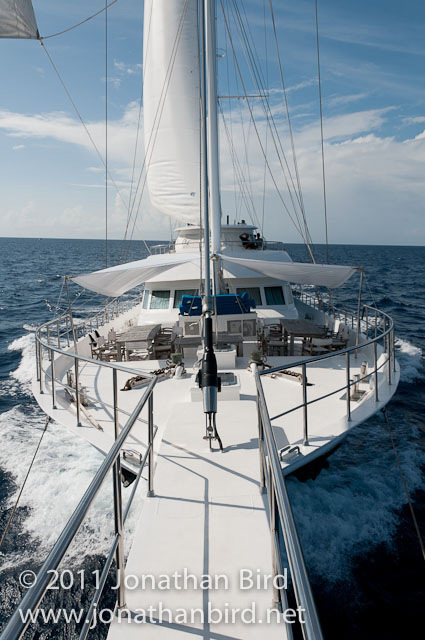 Once we landed in the Maldives, we boarded the Maldives Aggressor, a 115-foot vessel with ten double cabins. I roomed with my good buddy Bill Scully. We set sail in the evening for the 6 hour run up to Hanifaru Bay. The next morning we had a look in the bay, which isn’t really a bay, but a sandy area surrounded by reefs that don’t quite touch the surface. When the tides are right, the wind is right, and a dozen other factors that we don’t really understand are right, this "lagoon" is full of plankton and it attracts dozens of manta rays to feed in a frenzy! Unfortunately, the conditions are good for mantas when there is a lot of plankton for them to eat—hence we did not expect very good visibility. In fact, at this time of the year, the Maldives are in a wet season, where it rains every day, the water is full of particles, and it’s often windy and rough. So imagine our surprise when we reached Hanifaru Bay only to discover crystal clear water, flat calm conditions, and beautiful sunny weather! And of course there were no mantas whatsoever. 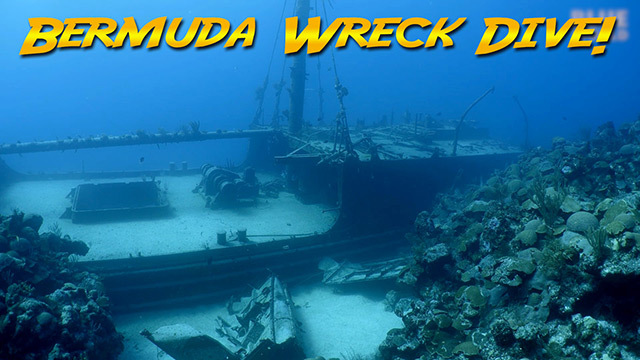 I can’t recall any other time in my life where I arrived at a tropical dive destination with perfect diving conditions, only to wish that they were much worse. There’s something wrong with that. But that’s what we needed. 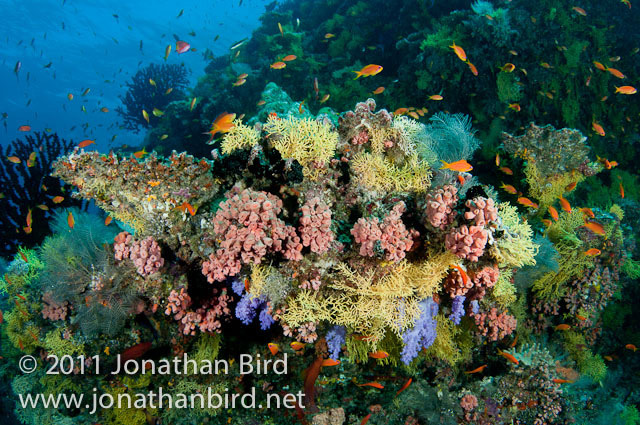 We headed north for a couple days of diving at another atoll with better reefs, while we waited for the stronger tides to come, hoping that they would bring with them the plankton we needed. I had predicted, based on tides, that the best day for mantas would be Sept 25. We had a few days until then, and hoped that my calculations were right. 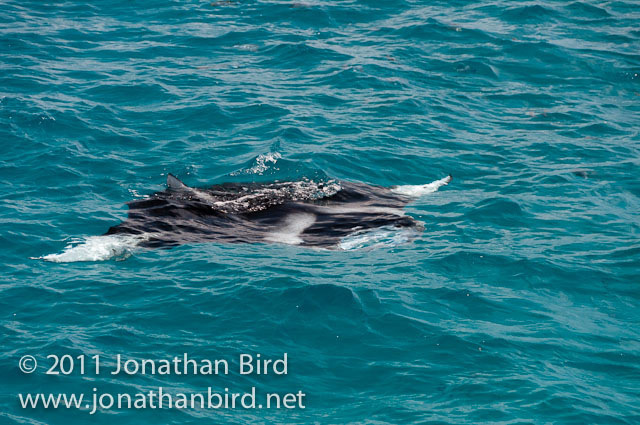 Soon, on the 23rd, we got word from one of the manta researchers that a few mantas had started showing up, so we headed back down to Hanifaru and scoped the area. We did some dives, saw one or two mantas at a cleaning station, but nothing going on in Hanifaru Bay. (As you might recall, we did a segment on mantas at cleaning stations in Yap back in season 2, so that was not an option for a Blue World segment). 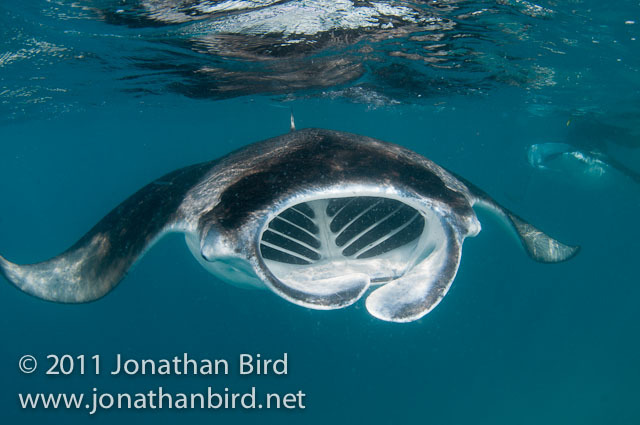 Finally, the mantas showed up…and you won’t believe it—it happened on the 25th, the exact day I had predicted. (I’m pretty sure this was a coincidence!) We got into the water with at least 50 mantas, all swimming back and forth, up and down in the water column, with their mouths wide open, scooping plankton from the water. 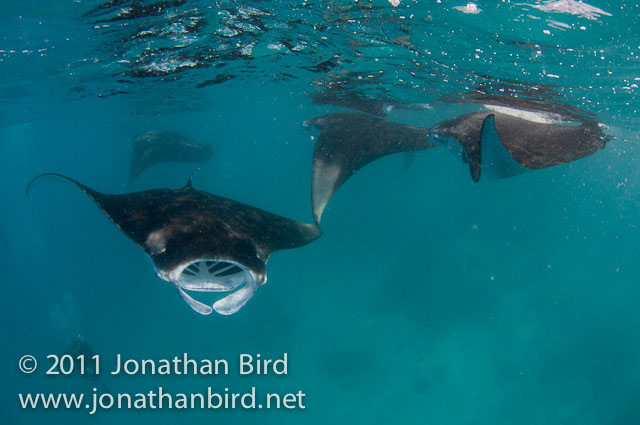 In spite of having divers and snorkelers everywhere, the mantas didn’t seem to mind us at all. The next day, it was time to head back to port. 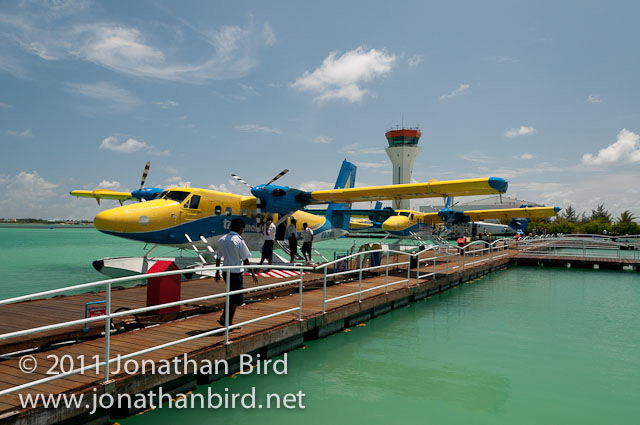 Since we had most of a full day to hang around Malé before our flights home, we decided to charter a seaplane to fly around and shoot some aerials. 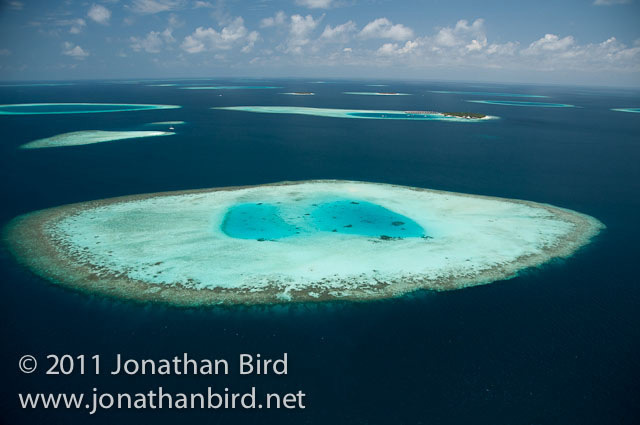 The Maldives are absolutely beautiful from the air! The aerials will contribute well to the segment.